Medellin, the corrupt, yet beautiful city famous for the biggest drug lord of them all. 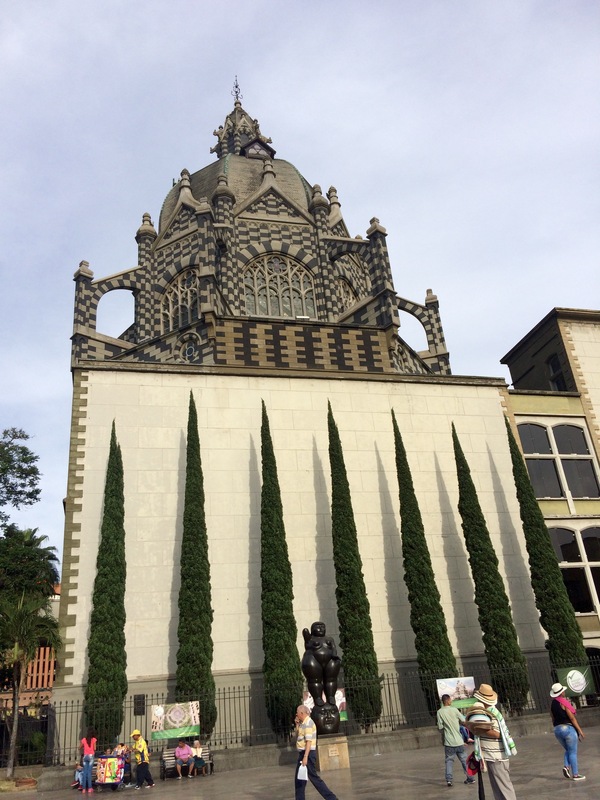 Here’s a little taste of our short visit in Colombia’s second largest city. Oh Colombia, it wouldn’t be a proper trip to your country without a random side of the road search for drugs in the city once known as the most dangerous place on earth. I wonder if Pablo Escobar is smiling down at his city proud that the police are still corrupt and the drogas are as popular as ever with the gringos. Ryan and I arrived in Medellin sometime between 2am and dawn, the odd hours that you don’t want to pay for a bed for the night before, yet can’t check in until after midday, and found ourselves cuddled up in the tv room in the hostel that was full of inebriated backpackers trying to watch a movie with one eye open. 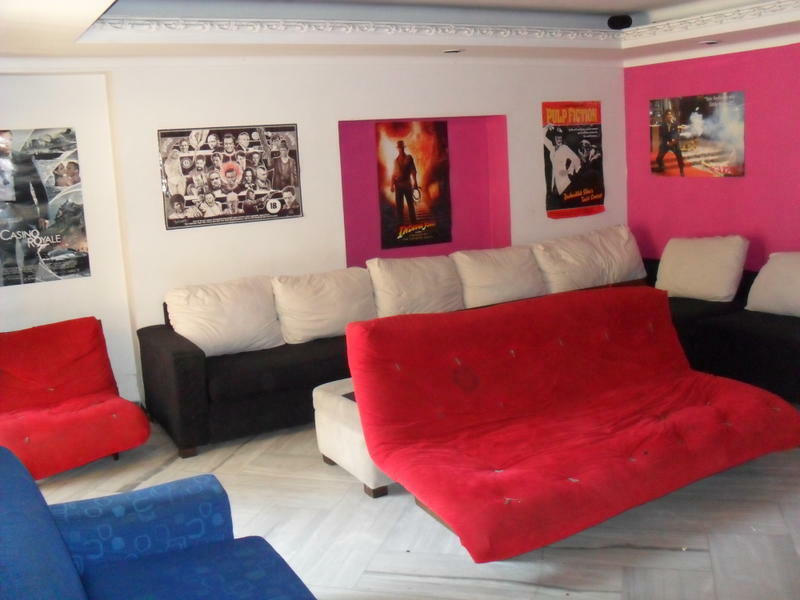 This hostel, known for a bit of a party scene, was one of the only we could find cheap beds in, but in all honestly it had a massive kitchen, great patio with a pool and dorms with fans and ensuite bathroom. We mingled with fellow travelers and made plans to watch the championship of the Copa América fùtbol match in el Poblado neighborhood. 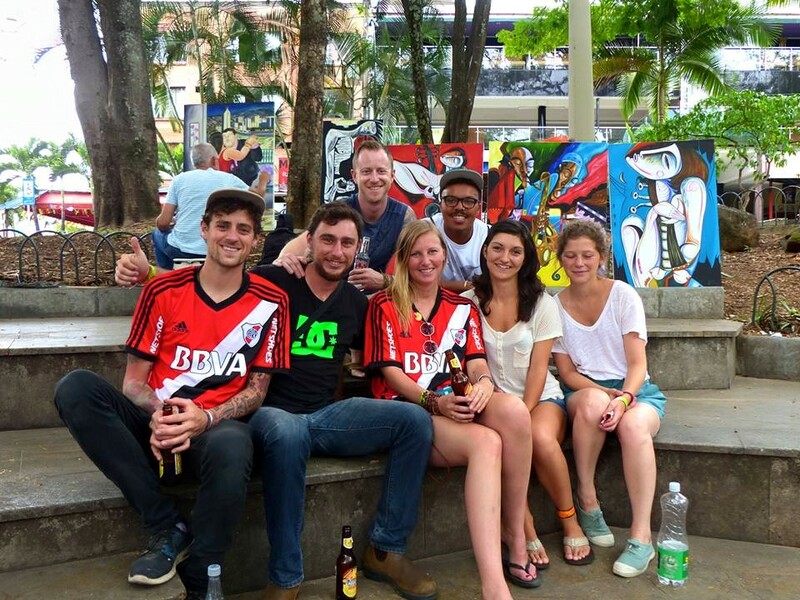 We all sat in the square of Parque Lleras drinking beers and cheering on the jumbo screen. Often we heard other backpackers speak of the infamous white powder and quickly learned the guys walking around selling lollies [suckers for those Americans reading] were selling more than just a fix for your sweet-tooth. One of my favorite pastimes whilst traveling is people watching and it was the perfect day for it. I found it fascinating how easy and cheap the drug moved through the crowds and when I’d start to question it, I quickly reminded myself this is Colombia. This is the norm. The next day, we headed for El Centro to check out el Jardín Botánico, a massive park where families host picnics and pathways lead you through jungle-like terrain. 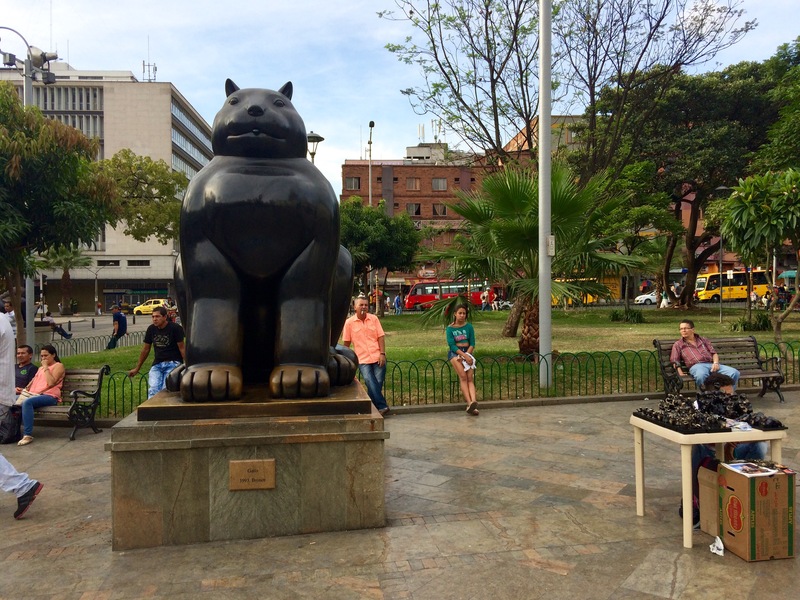 After some wandering we decided to walk to Plaza Botero that is home to a collection of art by Colombia’s most loved sculptor, Fernando Botero. The walk took only 30mins, but we did not expect such a change in neighborhoods. We went from the university village full of life, laughter, and museums to rundown auto shops where drug addicts roamed looking for their next fix. It was hard to look away only because I had to keep my guard up and as much as I wanted to snap photos of the despair with the luscious, green mountains in the backdrop I knew better. 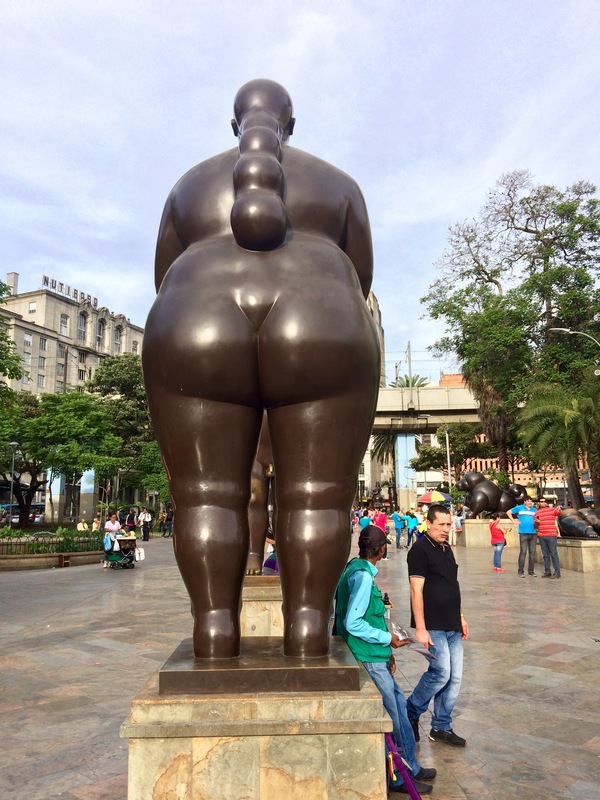 Luckily we made it through with only a few ugly stares and wound up in Plaza Botero admiring the round, robust sculptures of Botero. Unfortunately we didn’t have enough time to explore the mock pueblo of Pueblito Paisa or to take the teleferico for a birds’ eye views of the city and the hillside comunas [slums]. For an exorbitant price, we could have taken a Pablo Escobar tour complete with a view of one of his many homes and the chance to shake hands with his brother and snag an autograph. Yes, his brother who did the accounting for Pablo is now making money as a tourist amusement attraction. A bit odd to wrap your head around, but as I said before this is Colombia. This is the norm. That night, Ryan and I loitered around el Poblado, the area known for bars and clubs and shared cheap beers with the last bit of money in our pockets. As the disastrous duo does, I left my debit card in an ATM somewhere in Bolivia and we we’re waiting for cash to transfer on to Ryan’s travel card, which left us hanging in the streets for our last night in Medellin. Chatting away, a police moto with two cops drove past. 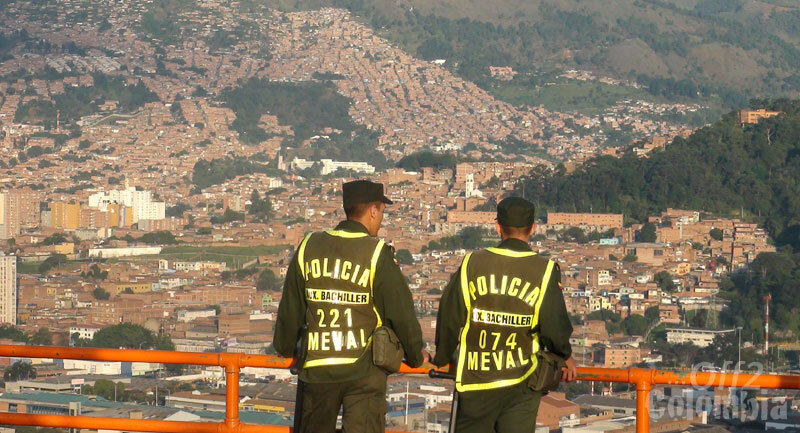 In Colombia it is a law that two officers always drive together, clearly for safety assurance. Then they braked. And backed their two-wheeler up to us. “SEARCH SEARCH SEARCH,” one yelled as I started speaking in Spanish asking what for, they made Ryan stand and empty out his pockets. The officer meticulously looked between every page of his passport in hopes of finding drugs. The other barely searched me and after a few minutes the two corrupt pigs drove off most likely annoyed they weren’t going home with some gringo’s cash. Sadly, I heard this story over and over from other backpackers. I was warned to always watch them because they will plant drugs in your backpack when you’re not looking. If they do find drugs, which happened to many they demanded money. They’ll drive you to an ATM to force you to withdraw as much as possible threatening they’ll bring you to jail if you disobey. Those who don’t haggle with them lose a lot of cash, but most of the time you can plead with a bargain that won’t have a detrimental affect on your trip. I knew the cops would leave with nothing when they first approached, but I couldn’t help myself from thinking, “What if they planted some on us?” We had no money in our wallets, not a dollar to take out of the ATM, would they chuck us in some horrible prison or let us go? My mind wouldn’t stop spinning possible outcomes and after that unfriendly incident we took ourselves home. In a few countries I’ve traveled through, corrupt cops is the norm. Thailand, they’ll exploit you for every dollar when crossing the border to Cambodia. In India if you are caught with hash, they demand rupees. But in South America, especially Colombia I found myself in fear of the police. Knowing they purposefully plant drugs on broke backpackers and will demand unlawful searches whenever they please is an unnerving feeling. If I found myself in a dangerous situation would they help? If it benefitted them maybe, but it’s quite scary that as a foreigner in their country I would not feel safe approaching them if need be. But don’t ever bribe a cop in Chile. In Chile this is a serious offense and you may see yourself behind bars. The learning curve among backpackers is always growing, although these experiences can weigh heavy on you, you personally cannot change the entire country. Be smart, be aware, and don’t break the law in foreign countries otherwise you may just find yourself on an episode of Banged Up Abroad. My intention in this post was to share an experience. Don’t let this post scare you from Colombia, it is an absolute gorgeous country full of the friendliest locals that I intend to visit again. My next post will be a bit more uplifting about our last week spent on Colombia’s Caribbean waters.